The new school year has arrived, and for many that means tons of time spent driving to co-ops, sports practices, and dance classes. While these things don’t necessarily apply to my family in our current state of full-time travel, I do understand—probably better than most—how little fun it can be to find yourself trapped in a vehicle with the kids for extended periods of time. Before we go any further, I’d like to say that I'm in 100% agreement with moms who drop some activities or pick classes based on scheduling in order to avoid too much car time. 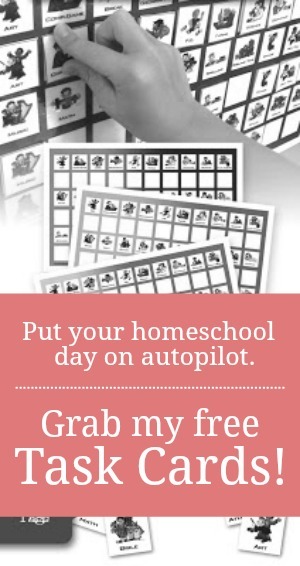 After all, it is difficult to do any homeschooling if you are never...well, home. 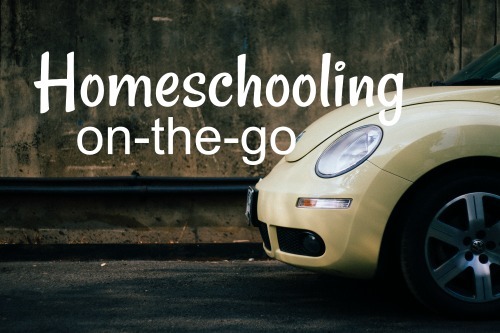 However, I also understand that as a homeschooling family, you'll probaby need to get out of the house once in awhile, and that means you will likely find yourself in a car with kids at least once a week. During this time spent going to and fro, it is highly probable you will be subjected to all kinds of torture, including (but not limited to) ridiculous arguments, off-key singing, pointless whining, endless chattering, and screaming that reaches decibels only dogs can hear. While this insanity is unfolding, you will also be treated to an internal guilt trip and the searing sensation of regret all rolled into one as you consider all the learning that “should” be happening at that moment. First, let me ease your pain by reminding you that your children are learning. They are learning patience even as they try yours, and they are learning from every sight, sound, and smell that crosses their young and inexperienced senses. Additionally, your kiddos will learn from whatever experiences await them at the end of the seemingly endless car trip. So stop worrying about their education. You are doing plenty. Next, I would like to offer a solution to the endless noise that always seems to roll forth from the back seat. Not only will this solution help soften the noise, it will also help you feel productive even as you’re rolling down the highway. “What is car schooling?” you might ask. Well, it’s exactly what it sounds like: school time in the car. No, this doesn't mean you should break out the textbooks and use the armrests at desks. Plenty of active learning can happen even without a silly worksheet. Instead of relying on your traditional curriculum, try thinking outside the box on your driving days and integrate learning in a way that makes the most sense in your situation. As year-round roadschoolers, my family spends a lot of time driving from one amazing city or state to the next. This means we do a lot of car schooling. Here are our favorite ways to feed our brains while we roll. There are plenty of traditional road trip games that can help your little ones grasp certain concepts. For instance, playing the “alphabet game” is a great opportunity to work on letter recognition and letter sounds. On the other hand, the “license plate game” could be a good way to start a conversation about different states. Teach Your Monster to Read for teaching phonics and reading. DragonBox apps for teaching math. Duolingo for learning other languages. Stack the States and Stack the States 2 for teaching US geography, along with Stack the Countries for world geography. By keeping a couple of these fantastic learning tools on hand at all times, you will have the power to cure the backseat blues and ensure no part of your school day is wasted. My son is an audio learner so I am always looking for podcasts and audiobook resources. I was excited to see two new to me science podcasts. My question is about those podcasts worldview. Do you know if they present from a Creationist worldview or Evolutionary? Love your blog! They appear to be evolutionary in thought when it comes to the beginning of the world, which would go agains the beliefs/values of this blog. However, the majority of the episodes are not about origin topics, but rather about physical science like magnets, energy, motion. Like any secular science resource, you have to vet it per topic. Thank you. He's pretty solid in his foundation but wanted to be aware for my younger kiddos.